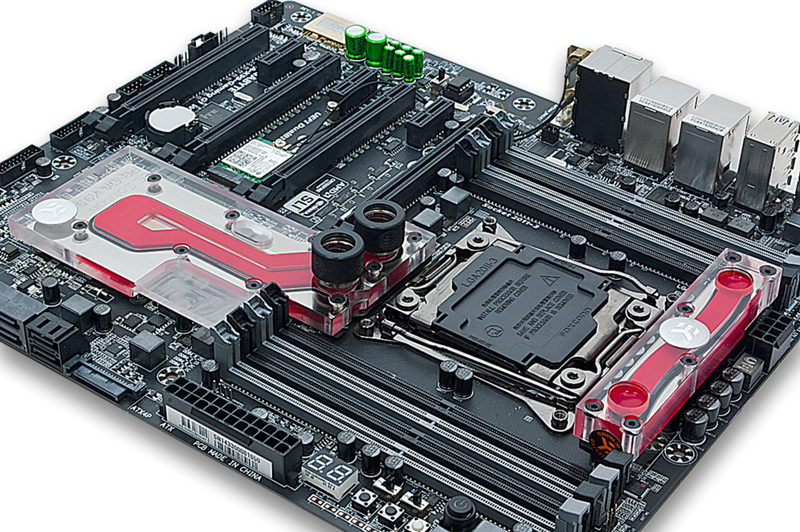 EK Water Blocks, Ljubljana based premium liquid cooling gear manufacturer, is proud to introduce motherboard water cooling solution, this time for GIGABYTE X99 series 4th generation Intel® Core® i7 LGA-2011-3 socket motherboards. 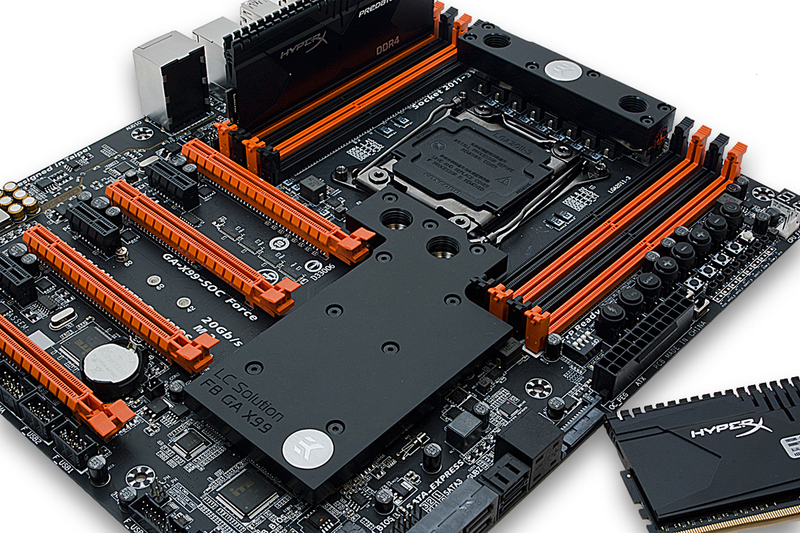 EK-FB KIT GA X99 is a complete water cooling solution for GIGABYTE® X99 series motherboards consisting of two separate water blocks. Please check our Cooling Configurator online compatibility system for detailed compatibility list! The water blocks directly cools Intel X99 southbridge (PCH) chip and power regulation (VRM / MOSFETs) module. Please note this water block cools exactly as much heat generating components as GIGABYTE factory cooling solution. 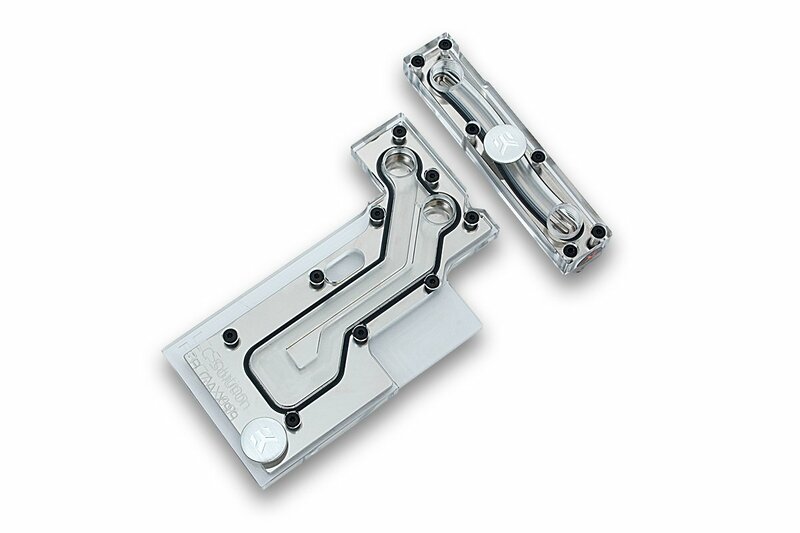 It is a high flow water block that can be easily used with systems using weaker water pumps.